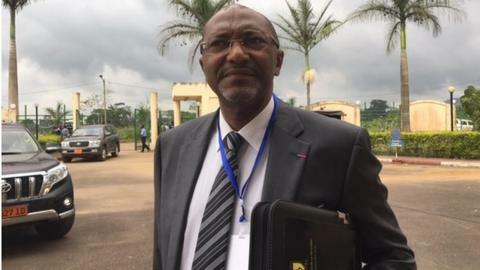 Newly elected federation president Seidou Mbombo Njoya has promised transparency in his bid to rebuild the credibility of football in Cameroon. Njoya was voted in as Cameroon Football Federation (Fecafoot) boss on Wednesday to end the latest 15-month period under a normalisation committee. “After five years of crisis, enough is enough,” the Bamun prince said. “We have turned our backs on ethics for too long and the time has come to re-evaluate them. Since former Fecafoot president Iya Mohammed was jailed in 2013 Cameroon football has been in turmoil going from a first normalisation period under Joseph Owona to a second under Dieudonne Happi. “Football is a passion and I invite those who still love football to join me in uplifting the sinking Fecafoot boat,” Njoya added. “I know that the football fraternity is fragmented but I’m calling on stakeholders to come together so we can bring about change. The 57-year-old Njoya, is a former development officer at world governing body Fifa and was part of the Confederation of African Football’s (Caf) disciplinary committee under ex-president Issa Hayatou. Seidou won with 46 of the 66 available votes, his nearest challenger was former international goalkeeper Joseph Antoine Bell, who polled 17. The remaining three votes went to Daniel Nyamsi Mongue, while former Cameroon international Emmanuel Maboang Kessack and one-time football agent Herve Tchinda failed to earn a single vote. Prior to the elections, supervised by Fifa and Caf officials, Happi and Emmanuel Bissong Egbe both withdrew from the polls.